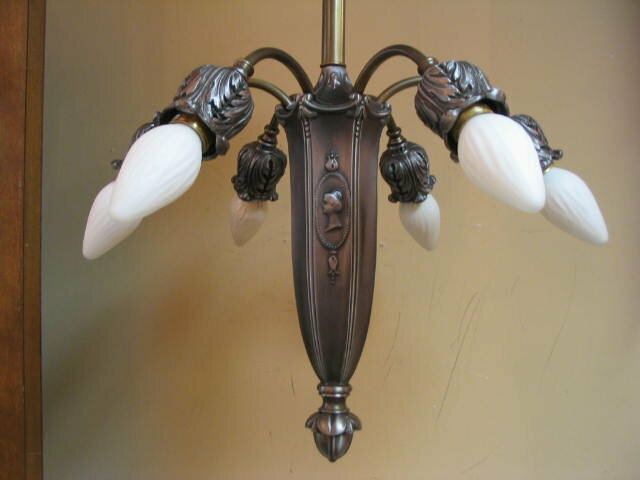 This very eloquent 6 arm chandelier has amazing detail and styling. 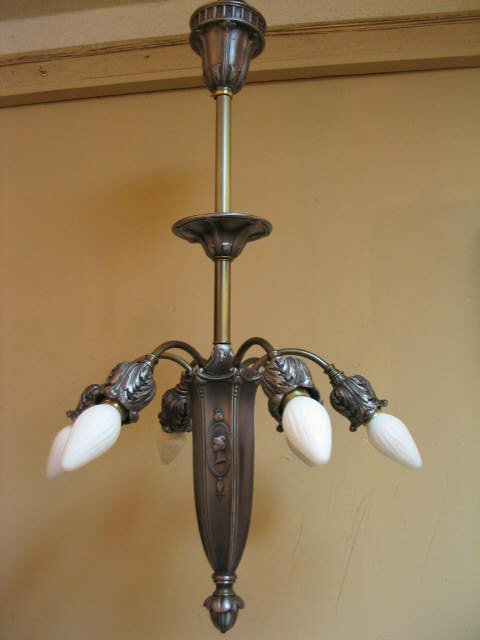 We've restored it to an antique pewter and brass finish and replaced all the electrics. I think it's probably early 1900's era. 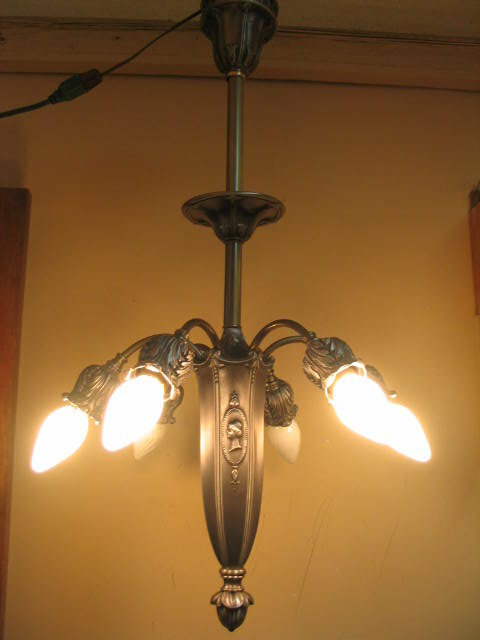 Measures 20" diameter by 33" long. Email for more info. 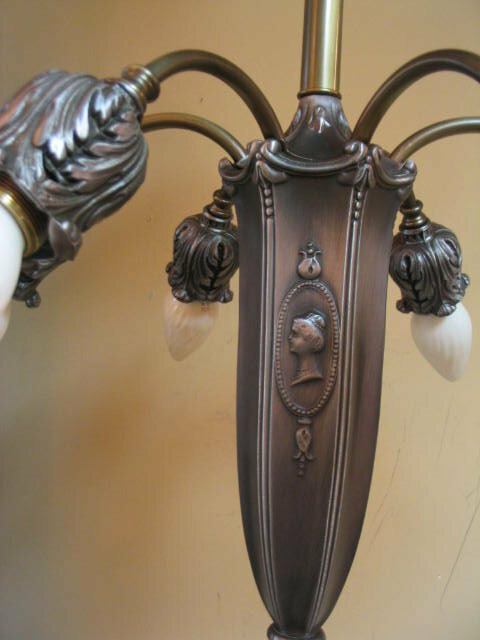 Items Similar To "Antique 6 arm Chandelier"